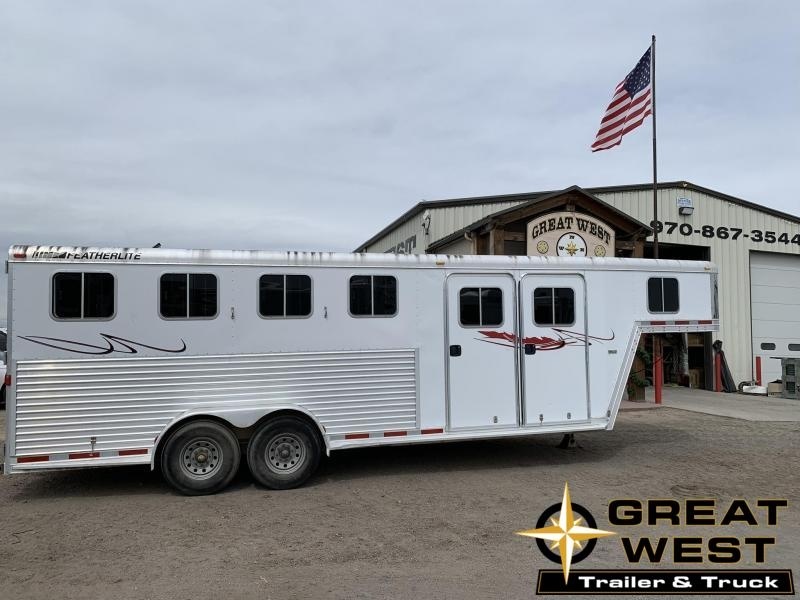 Perfect Stock combo Trailer to fit any needs!! 24ft on the floor 4ft straight wall tack room Slant divider Cut Gate Call us Today!!!! !!! !JUST IN!!!!! 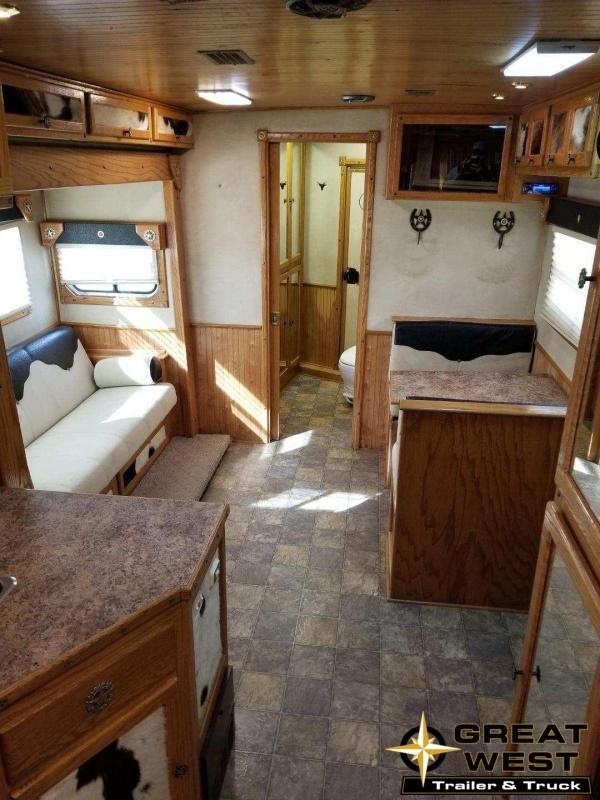 2005 Featherlite 4 Horse trailer Big Front Dressing Room Side Tack RUBBER FLOORING!!! 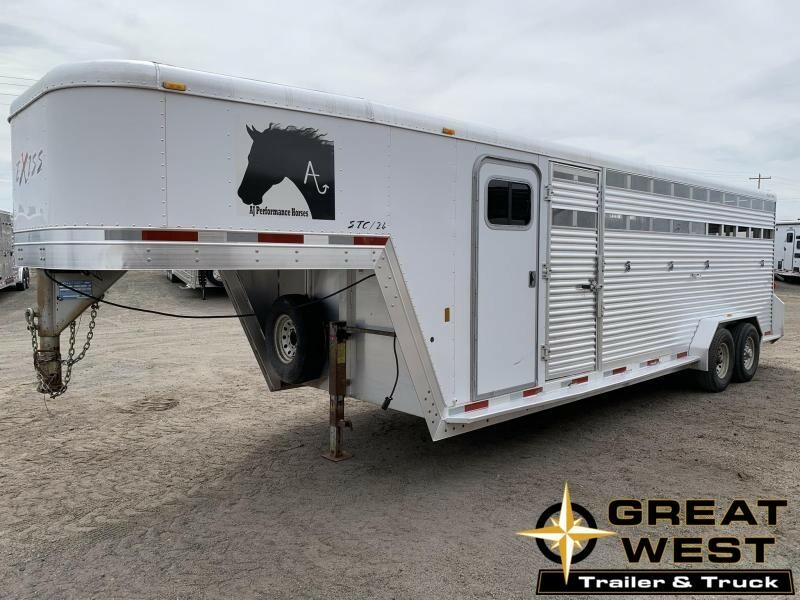 This trailer is perfect and fits many needs!! Call us today for more information!! !